This list is a selection of stunning locations you may wish to visit as you travel throughout the area. 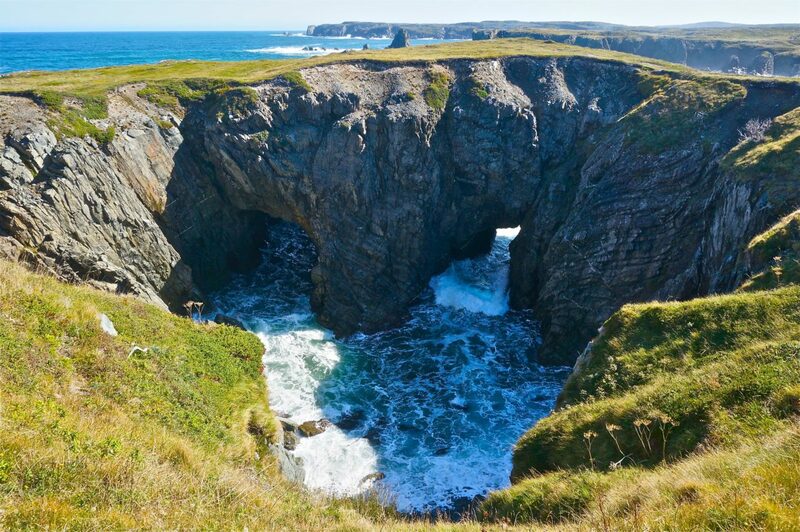 For more details and other suggested locations, consider downloading the Bonavista Geological Tour app. 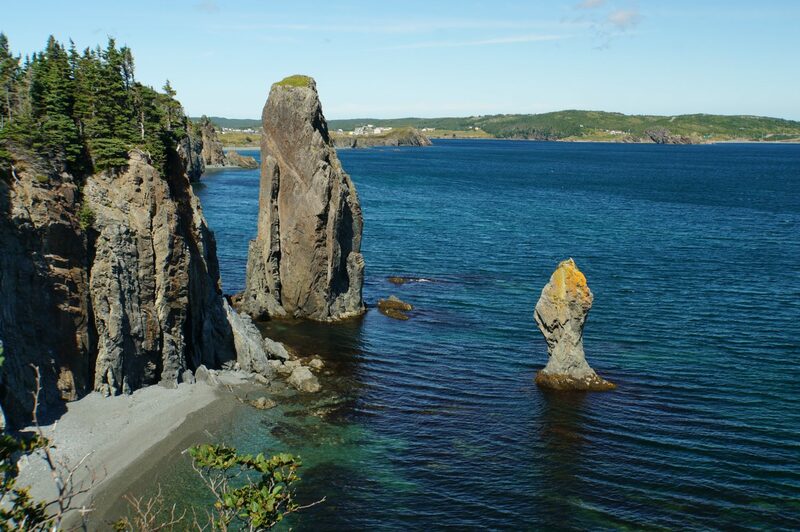 Located shortly after Skerwink trail turns from the old railway bed to the cut out coastal trail, the sea stacks can be viewed early in the walk and still enjoyed by those who do not wish to walk the entire trail. Visit the park to stand above a collapsed sea cave with natural archways as the rough ocean waves crash in and flow out of the cave. There are many horses and cows grazing in this area. Head to the Factory Historic Building in Port Union. In front of the building is a boardwalk with a set of steps leading down to rocks and water. During low tide, you can walk out to see various fossils embedded in the rocks. 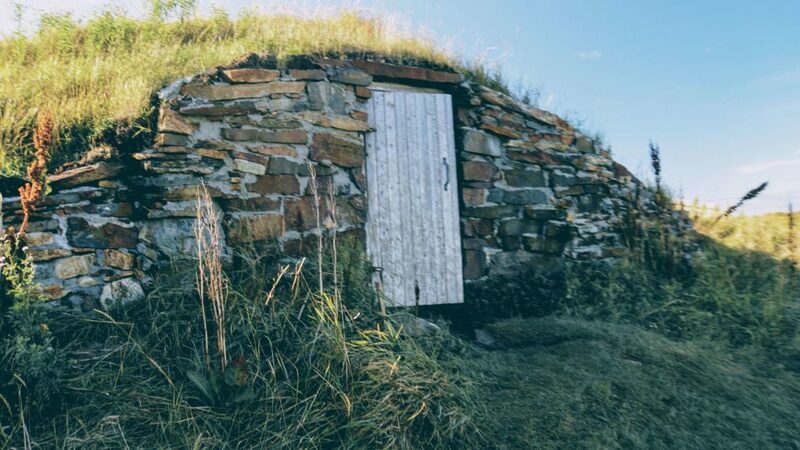 Built from the naturally occurring rocks in the area and dug out from the hillsides, Root Cellars have put Elliston on the world map as the “Root Cellar Capital of the World.” Root cellars look somewhat like hobbit holes and various styles can be found in the area. We recommend driving past the puffin viewing site in Elliston onto Circular Rd in Maberly to view the best selection. 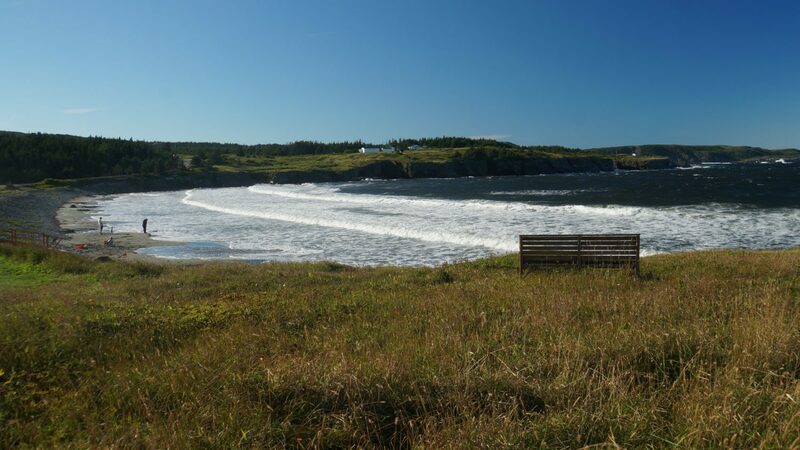 The only Sandy Beach on the Bonavista Peninsula is located on the way to the Puffin Viewing Site. This area is a hidden gem. 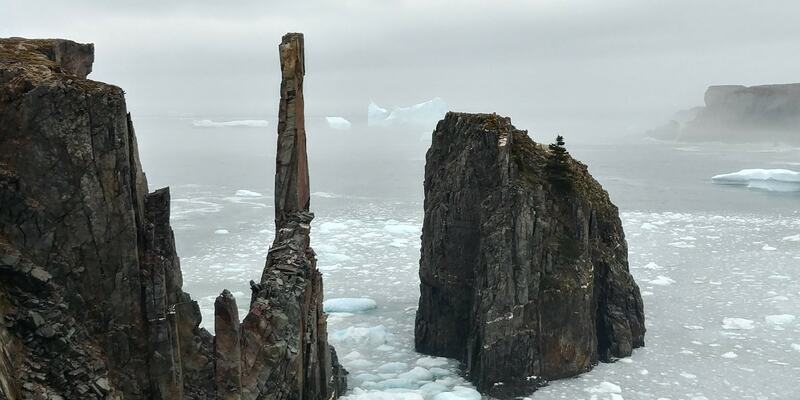 Just a few minutes by foot from the road, or accessible from the south by the Klondike Trail, Spillar’s Cove offers a landscape, largely barren of trees, with dramatic cliffs and an impressive sea stack. 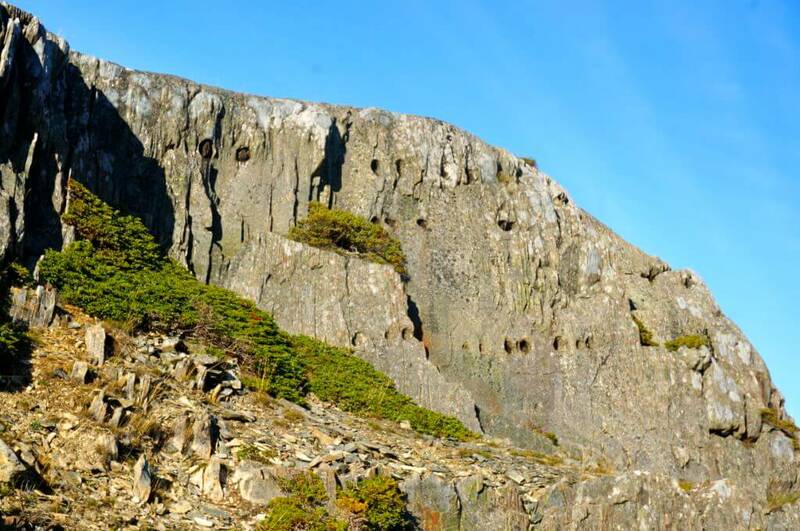 This area of the Bonavista Peninsula is predominantly formed from slate. The cliffs jutting out of the ocean are pinkish purple rather than the grey you see in most areas on Eastern Newfoundland. The sea arch is located off a small road just before the community boat slipway. People often miss it. Our advice is when you overshoot it and find yourself at the end of a road looking at a rock painted like a quilt is laid upon it, turn around, see the slipway and you will notice a narrow road past it heading right. Following this road. You should see a small sign that says “Sea Arch”. We recommend walking past the viewing platform to the top of the cliffs for a great view. 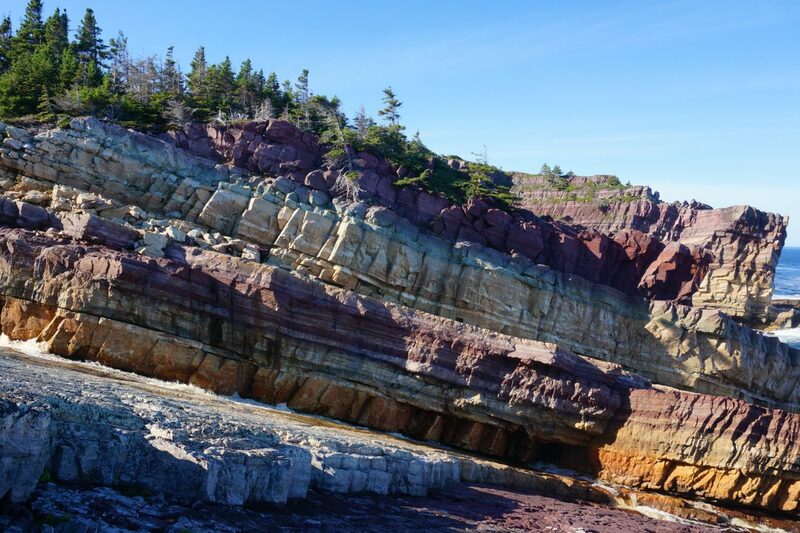 In Keels, take a look at a geological phenomenon known as “The Devil’s Footprints”, pockets in the rocks, which, according to local folklore, are proof that the Devil walks this land at night. Keels itself is a beautiful community to stroll around and indulge one’s passion for photography. 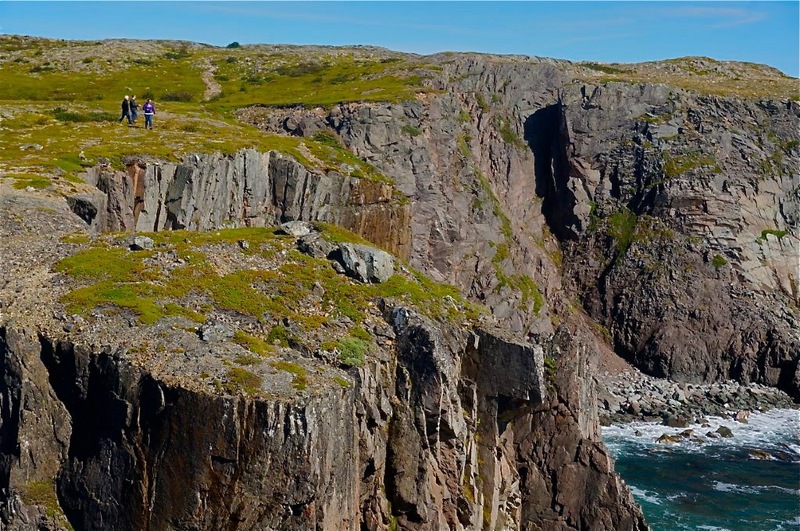 This stunning cliff is located on the Lighthouse Trail in King’s Cove. It is an easy grade walk and you can access this lookout point after 25 minutes or so of walking.